Mid-rise and even low-rise jeans might be popping up here and there on the runways and in street style across the globe, but no matter who wears them and how much we might consider giving these two trends a try, nothing beats a good old pair of high-waisted jeans. We scout hours and hours for the right pair at vintage thrift stores and online, and once we find the right ones, there’s no looking back. Of course, the pair you adore might not be fit for all occasions and dress codes, and who doesn’t like to shake things up again? But nobody wants to start that stressful search all over. Fortunately, there’s no need for such drastic measures. The internet is a glorious place, and in it are a handful of sites that carry the high-waisted jeans of your dreams. You just need to have a bit of patience and know where to look—and that’s our cue! 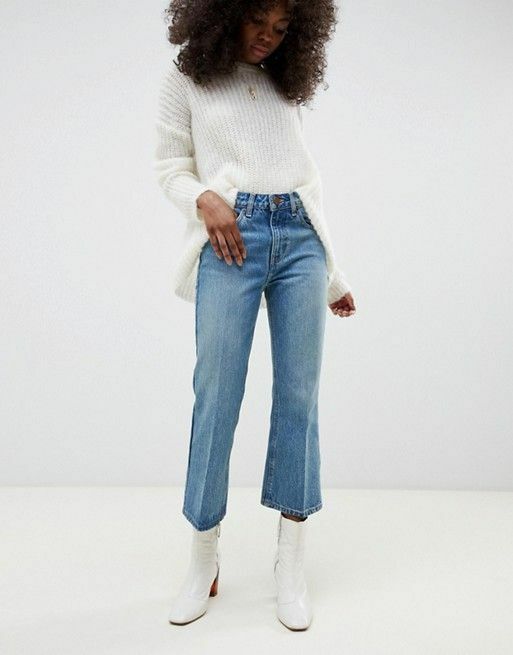 We rounded up the best high-waisted jeans on the internet all in one place (aka this article), so no matter your style, we have something for you here. Enjoy! These jeans will look great with all your ankle boots. No stains can keep us from loving this pair. The type of jeans you'll want to wear with sneakers and a white tee. Say hello to your new everyday pair of jeans. Perfect to dress up or down with a pair of heels or pointed-toe flats. We still love some good mom jeans. Everyone should have a pair of dark-wash jeans. With these jeans, you'll see why Everlane has a cult following. A little flare can do no wrong when it comes to jeans. Tall ladies, rejoice—this brand is made for you. You'll never want to take these off. Next up: We'll be wearing these jeans all through 2019.